Hi everyone  Just wanted to give a brief update on the status of weloveucp.com. Hey guyz, I updated the member profiles a bit (^^♪ For instance, you can [view mine here]. GOTCHAROCKA (and ex-Phantasmagoria) guitarist jun and ARLEQUIN (アルルカン) (ex-Cu[be]) guitarist Nao (奈緒) are featured in a [special dual interview] to celebrate ViSULOG's 4th anniversary. It's pretty interesting to read those two ex-UNDER CODE bandmen talk to each other! ex-hurts (and a lot more) vocalist HINA (ヒナ) has posted lyrics to his original song Ruten (流転). I assume it's played by his current project Lucifer's underground. 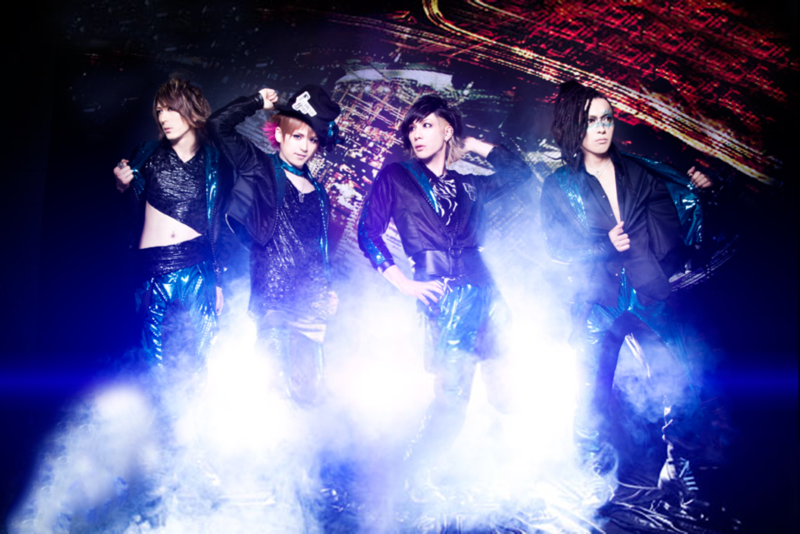 GOEMON RECORDS has announced the start of its video channel! [GoeTELE!] (ごえテレ!) premiered yesterday with a CM for ARLEQUIN (アルルカン)'s (アルルカン) [aluminum can project] [featuring a surprise guest(?! )], and already has a planned release schedule for the upcoming month. ex-Vior gloire vocalist/genius shall has mentioned that he will start up some sort of band activity on 2014-04-06 at Nishikujo (西九条) BRAND NEW. He says that he wanted something with a “name” (imo more formal than a session band), but something slow, with a live only every month or two. So it sounds to me like he'll be starting a continuous session band... but it can't hurt to hope for more, right?! All NEGA official blogs have finally been deleted. 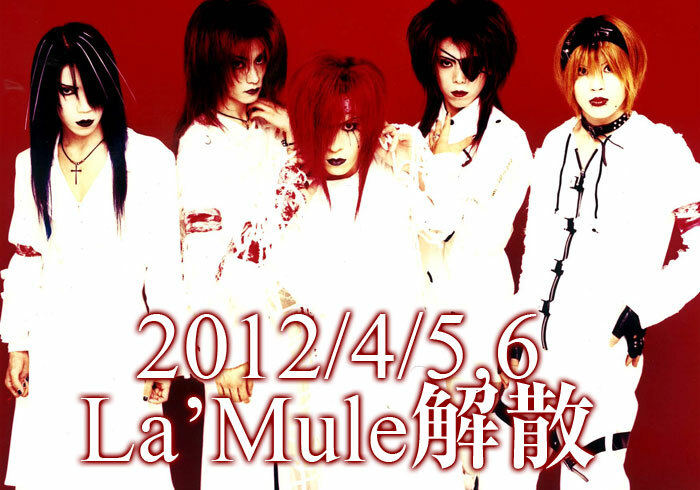 ex-guitarist SAN has opened his new blog, [Under the SAN, above the...]. No other members have opened blogs (that I'm aware of), but ex-bassist&leader Ray can be followed on Twitter [@ex\_nega\_ray], and ex-drummer Yu (優) occasionally tweets at [@nega_yuofficial]. Lately I've been forgetting to cross-post entries to this community when I post them at the main site. I just wanted to apologize for that and let you know that I'll try to be better about it. The Kansai Seiatsu stream has gone live, although it's just playing background music right now. The actual live footage should start in... 6 minutes! So log in now! We did it! The last of the 50 tickets sold at the last minute, so the live stream of Kansai Seiatsu 2011~2012 will not be cancelled! I thought it'd only be right to post this here. There are 9 tickets left and only about 6 hours! If those 9 tickets aren't sold, the Kansai Seiatsu live stream will be cancelled! So if you were at all considering purchasing a ticket, now is the time!! here in Japan is already 24th. So i wish you happy christmas with this. Reminder: don't forget about your Secret Santa presents! Instead of going to bed at a reasonable hour, I decided to quickly tackle multiple language blog posts! So now, when you change your language via the box at the top of the page, blog posts will display in your desired language (when a translation is available). The site is still under super-heavy construction, but welcome! As of now, I would say that about 70% of the essential blog functions are functional—enough to start populating the site with entries, but not enough to abandon LiveJournal quite yet. For those of you participating in Secret Santa second season, Santa/recipient pairings have been assigned! You now have a little over a month to prepare and send your gifts. You can view information about your recipient via the link below. After signing in at the top of the page, your recipient's information should be available in the sidebar. Looking for input from you guys! If I were to buy a domain for WE LOVE UNDER CODE, what should it be? Please select your favorite URL below, and feel free to suggest something else! [Archived] VIRTUAL SUPPRESSION starting now! Just wanted to remind you guys of these events/catch any stragglers that hadn't seen them yet! Hey guys, just wanted to remind you of this year's Secret Santa event. Registration closes on November 20th, and recipients will be decided on the same day. From then, you'll have about a month to get a present together to send to your recipient. Hello! I'd like to tell you guys about a new community event I'm planning. Hello guys! If you were here last year, you'll remember that we held a community Secret Santa project; it was so successful that we've decided to do it again! [Archived] Survey: how would you like WE LOVE UCP to expand? Since I never got around to it before, here's a quick post about the prizes for the trivia contest. As promised, I've gotten around to tallying the results from the 1st week of KING of UNDER CODE TRIVIA. It was pretty close, but there was a clear 1st week king. http://rikic"; ! Just wanted to let you guys know: I'll be busy with my summer class all day tomorrow (Thursday), so crowning of the first weekly winner will be delayed until Friday. VOL:8 trivia question will most likely be delayed until Friday as well. [Archived] Off topic: recruiting staff?! [Archived] Off topic: raffle contest? To help me extend this community's paid subscription, the lovely http://rave_andou"; had proposed that we hold a community raffle. She's already lined up a bunch of really cool UNDER CODE goods as potential prizes, and I'd be adding some as well.